ARLINGTON, Va. – The National Association of Chain Drug Stores (NACDS) RxIMPACT grassroots advocacy program has mobilized to support a U.S. Senate initiative urging action by U.S. Secretary of Health and Human Services Secretary Alex Azar on direct and indirect remuneration (DIR) fee reform in Medicare Part D.
NACDS RxIMPACT pharmacy advocates are urging Senators to sign a letter to the Secretary that is being led by Sen. Shelley Moore Capito (R, W.V.) and Sen. Jon Tester (D, Mont.). The letter describes the negative effects on Medicare patients and on pharmacies of the rapid expansion of the use of DIR fees in recent years. The NACDS RxIMPACT program has consistently linked pharmacies’ real-world experiences with their legislators to urge action on DIR fees. For example, in March, pharmacy advocates from all 50 states reached all members of the U.S. Congress through in-person meetings in Washington, D.C. during NACDS RxIMPACT Day on Capitol Hill, with DIR fees among the priority issues discussed. This topic also is a focus of NACDS RxIMPACT Congressional Pharmacy Tours and other events in states and Congressional Districts. 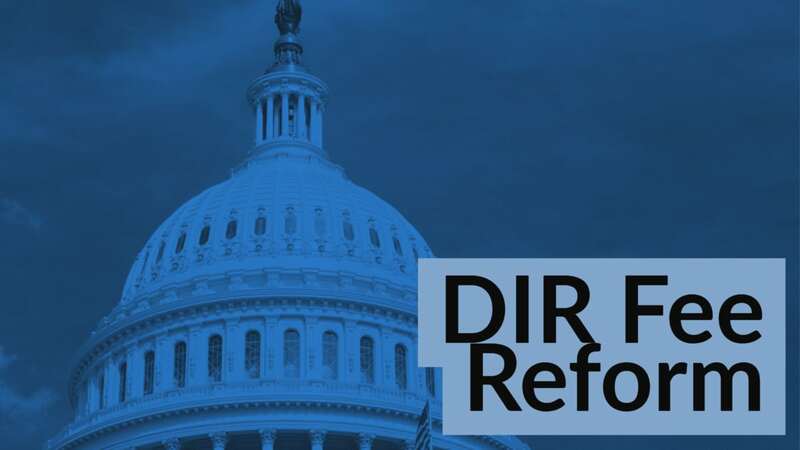 “NACDS thanks Senator Shelley Moore Capito and Senator Jon Tester – as well as all of the Senators who are signing the letter – for their leadership in explaining the consequences of the current state of DIR fees, and for urging Secretary Azar to not allow the current focus on drug prices to pass without taking meaningful action on this extremely critical issue,” said NACDS president and chief executive officer Steven Anderson. DIR fee reform is part of the NACDS Access Agenda, which describes NACDS’ issue positions based on pharmacists’ experiences on the front lines of healthcare delivery. The NACDS Access Agenda includes efforts to defend patients’ access to care, to improve access to newer services, and to foster safer and stronger communities.